Here are some referral thank you letter samples you can utilize to help with your own wording. When someone refers another person to your business or service, it is a testimonial to your value, and an implicit recommendation. Returning this kindness with a thank you note will help solidify the relationship and encourage more referrals in the future. Itâ€™s tacky to ask for additional referrals in your thank you note. By simply communicating your gratefulness, youâ€™ll already be encouraging future recommendations. I canâ€™t thank you enough for referring your friend Jeff to my massage practice. That was too kind of you. Iâ€™m so glad Iâ€™ve been able to help you over the past few months, and I look forward to providing the same care to your friend. I just discovered that our newest client was referred to us through your firm. Thank you so much for the lead. Weâ€™re confident that weâ€™ll be able to provide a lot of value for them. Iâ€™m so pleased that you thought of us. I hope that Iâ€™ll soon be able to return the favor. Iâ€™ll be attending a networking event later this month, and if someone is in need of an outsourcing solution, Iâ€™ll make sure to send them your way. Thanks again Susan. Weâ€™re beyond grateful. I really appreciate you taking the time to refer my application to Sanders, Marrow, and Price. You have been an integral reason that Iâ€™ve been able to secure my new role at the company. Please let me know if there is anything I can do to assist your company in the future. Again, thank you so much. Your help and guidance has been a true blessing. Iâ€™ve just discovered that you recommended my site on a recent blog post. Thank you so much for the kind recommendation. Please let me know if there is anything I can do to help you out in your venture. Your blog seems very helpful. Iâ€™ll recommend it to my readers the first chance I get. As you can see, a referral thank you letter doesnâ€™t need to be paragraphs long. Consider mocking up a thank you letter template for continued use, if your business generates a lot of referrals. 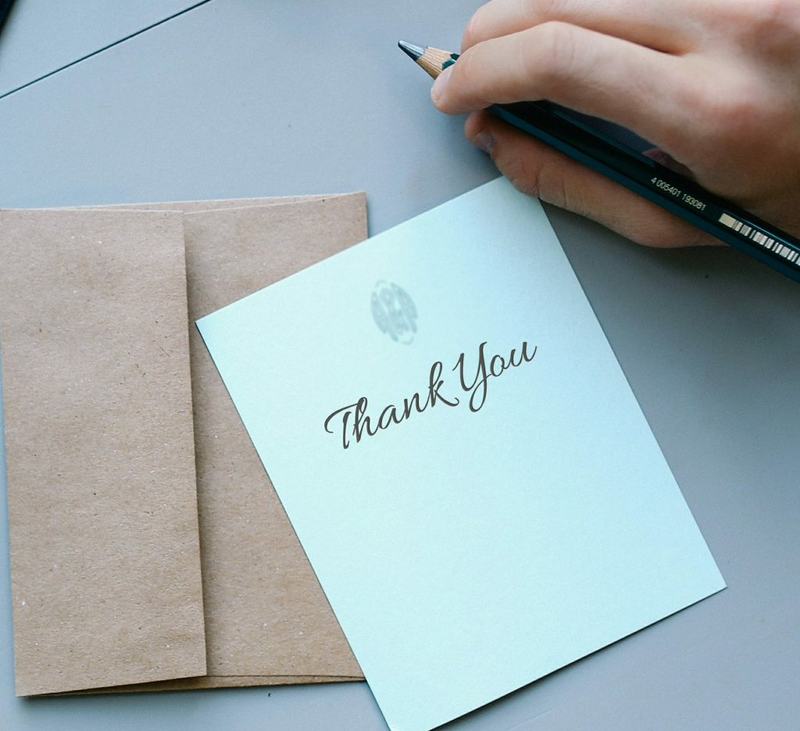 Sending a written thank you note will produce good will and lasting dividends for your business. Also, itâ€™s simply the right thing to do.